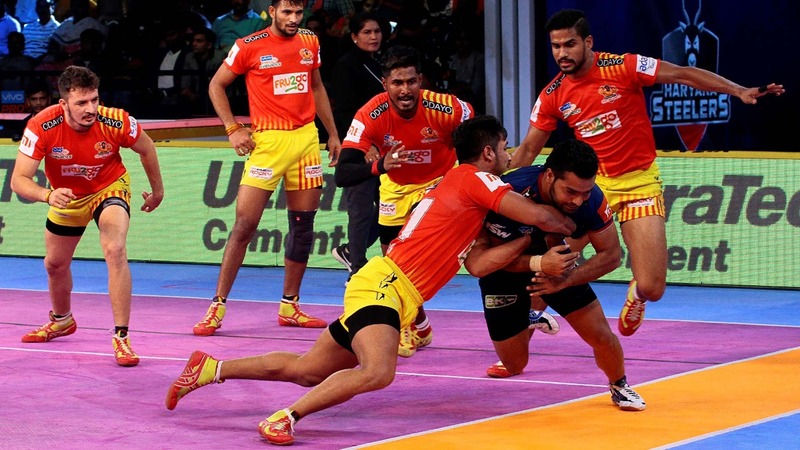 A mix of Gujarat Fortunegiants' raiding prowess and efficient defence ensured they scored a 47-37 victory over Haryana Steelers at the Rajiv Gandhi Indoor Stadium in Vizag on Wednesday. While K. Prapanjan and Sachin recorded Super 10s, captain Sunil Kumar and Parvesh Bhainswal bagged four points each to showcase an all-round game that did Haryana Steelers in. 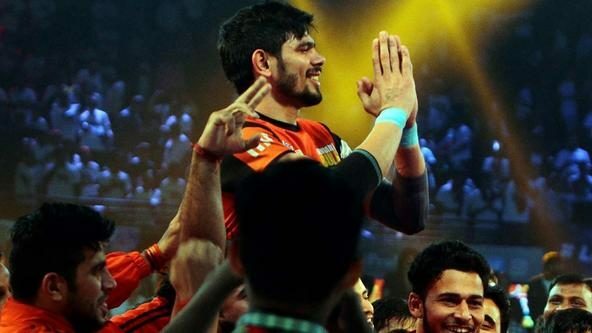 Prapanjan initiated the assault for Gujarat Fortunegiants with a two-point raid and then followed it up with Super Raid which ensured that Haryana Steelers were All Out in under five minutes. With the score tilted 11-2 in Gujarat Fortunegiants' favour, Prapanjan had provided his team a massive edge early on. When they reassembled, Gujarat Fortunegiants' spree continued but then Haryana Steelers stepped up and got into the game. From 19-9, Haryana Steelers got the deficit down to six points with a Super Raid from Naveen. 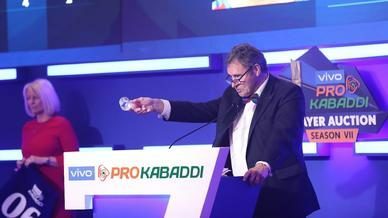 Gujarat Fortunegiants' momentum was being checked as Haryana Steelers played on par in a run that saw them score their first tackle point of the match in the 17th minute. 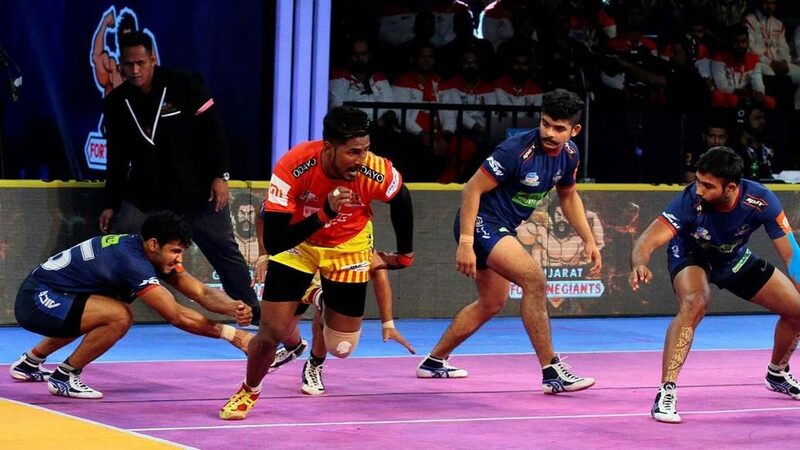 But a Super Tackle led by captain Sunil Kumar's ankle hold -- aided by Sachin Vittala -- on Vikash Khandola and then Dong Geon Lee's subsequent two-point raid winded Haryana Steelers comeback, as the halftime tally read 28-16 in Gujarat Fortunegiants' advantage. Prapanjan had scored nine-raid points in the half and was ably backed up by the defence, setting the tone of the match. When the second half began, Haryana Steelers scored the first two points but it was Gujarat Fortunegiants that carried their momentum well. 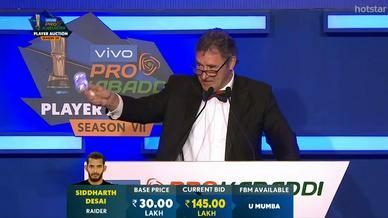 Haryana Steelers were soon All Out for the second time at 36-21, this time Hadi Oshtorak's two touch points and his successful tackle on Khandola doing the most damage in that run. The gap ballooned to a massive 18 points at 40-22 shortly after they reset, as Sachin got into the act and completed his Super 10. 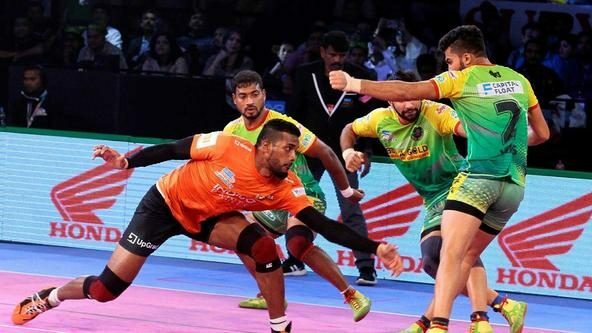 It seemed all over for Haryana Steelers but they got second wind and upped their game as their defence kicked in and Khandola and Goyat claimed a two-point raid each -- the latter recording a Super 10 -- and inflicted an All Out on Gujarat Fortunegiants, getting the score to 40-32. With less than five minutes left on the clock and everything to play for, Gujarat Fortunegiants responded immediately with Prapanjan completing his own Super 10. He then added another two-point raid and when Goyat got tackled, it was all but over. 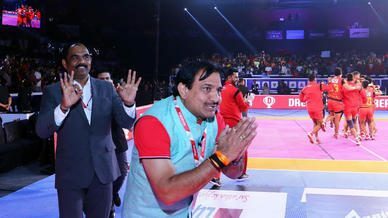 The closing stages were played out calmly by Gujarat Fortunegiants, aided by a Dharmender two-point raid, while Haryana Steelers ended the match with a Super Tackle to close the score 47-37.